I can't be the only one who finds themselves in an awkward position of having to write the one negative review about a movie that's considered to be a classic. I like to believe (and know this to sometimes be the case) that there are people who actually dislike some of these beloved films, but are afraid to come out as a dissenter. Welp, I'm not one of those people. It's been 25 years since DAUGHTERS OF THE DUST became the first American feature film directed by an African-American woman to ever receive a theatrical release--which is amazing, monumental even. Even more astounding is its cinematography--part erratic, part profound, and seamlessly bears the burden of carrying the emotions of the narrative. It is a natural consumption of beauty, sisterhood, despair, and hope. For that very reason, it would have made a terrific silent film. DAUGHTERS OF THE DUST is a portrait of the women in Peazant family, who belong to the creole Gullah culture- former slaves living in the coastal Carolinas who have been able to preserve much of their African cultural heritage. As they prepare to migrate, leaving their land and legacy for the promise of the North, conflict and struggles rise to the surface. It unfolds over the course of their final picnic in their current home; saturating the audience with impressionistic colors, African symbolism, Geechee-Gullah rituals, cooking, dialect, and the sound of field cries, all expressing the complex resonances of the Lowcountry lifestyle. 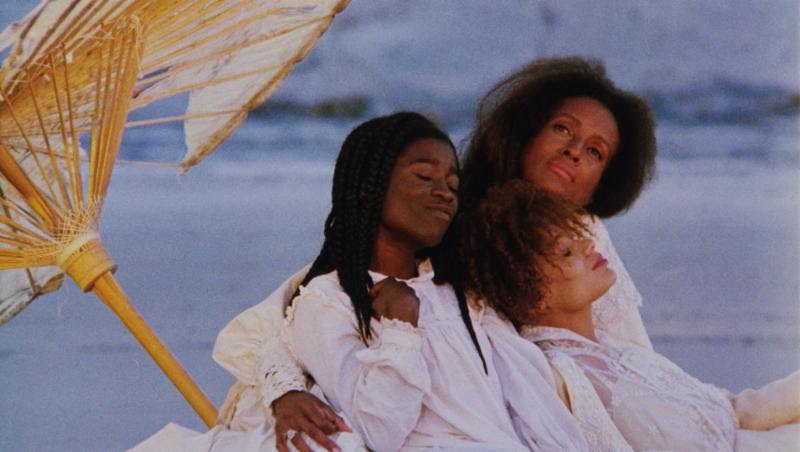 DAUGHTERS OF THE DUST is a post-slavery narrative about cultural memory, notions of home and belonging, and conflicts of Black female identity, a lost cultural connector between Charles Burnett's KILLER OF SHEEP and Beyonce's Lemonade. 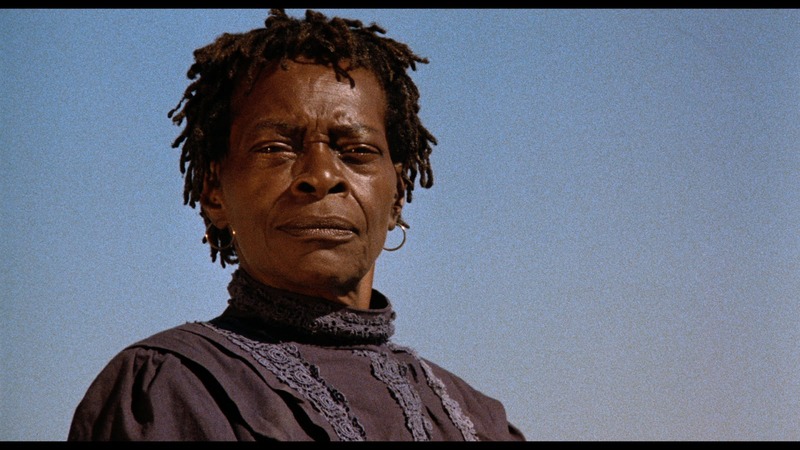 On paper, DAUGHTERS OF THE DUST has all the elements of a film that could seep into your skin and dwell there. Exploring timeless themes including cultural identity, trauma, and cultural inheritance, it resonates on a whole new level today as we continue to interrogate racial injustices stemming from slavery. Through its cinematography alone, we see the effects of devastation, the desperate need for human connection, and beauty in spite of degradation. But as important as this film sounds (and in many ways, is), the dialogue is just so choppy, so inadequate that it reduces its impact. Even the performances, delivered by an array of talent who time (and frankly, Hollywood) has forgotten, couldn't overcome the messy, melodramatic presentation of the screenplay. It sadly takes you out of the story, and in so doing mitigates the portrayals of the characters, as well as Dash--who, as the first black woman filmmaker with a feature release at the time, redefined who gets to tell whose story. That's indeed profound, but the final product, well, isn't as groundbreaking. And that disappointment is so real. Do you like or dislike DAUGHTERS OF THE DUST? Let's talk about it in the comments box below. DAUGHTERS OF THE DUST will be re-released in theaters November 18.